It's time for another challenge over at Christmas Card Challenges. 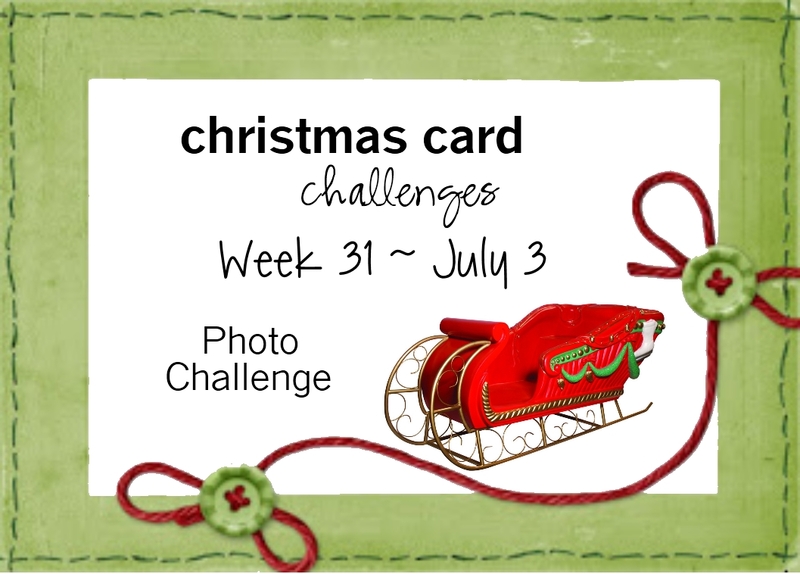 This week we have a new Photo Inspiration Challenge. I was definitely inspired by this sleigh. It's never too early to get started on your Christmas Cards. I hope you will join us this week! 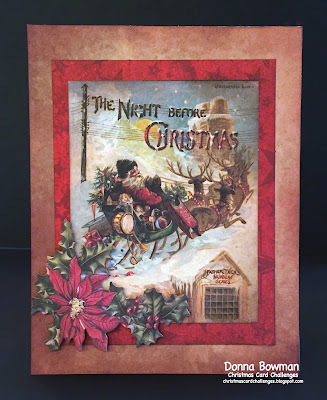 For my card, I used some Tim Holtz papers and ephemera from his Ideology Festive Ephemera pack. It was super easy to put together. I just added some distress inks to the papers and adhered the poinsettia with foam tape. Be sure to use what you have and let the products do the work when you can. Thanks for stopping by! Hi Donna Fabulous image and love that flower . Love your very traditional card Donna!